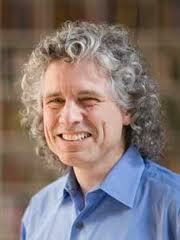 Steven Pinker is an experimental psychologist, cognitive scientist and linguist. He is a Harvard College Professor and Johnstone Family Professor in the Department of Psychology at Harvard University. This is an edited transcript of an interview I took from Steven on April 2004 in Tucson, AZ, during the World Conference on Consciousness. GZ: When did language appear? SP: All human societies have a complex language and no one has ever discovered a tribe in a remote area that lacks language. Thus, it seems likely that it was present in the common ancestors of all humans before the diversion led to different races and continental groups. So language must have developed at least 60.000 years ago, because that was when, by estimate, the Australian Aborigines first arrived in Australia. It could of course have been earlier than that. A recently discovered gene has been implicated in the disorders of speech and language. This gene has diverged from the corresponding gene in chimpanzees about 200.000 years ago. This must have been one of the genetic events that led to modern human language. The development of language may have been even earlier than that, because people lacking that gene don’t lack language all together, they are just slower when using it. GZ: How can a mutant gene “separate” humans from other apes, by means of impeding language? It sounds like a paradox. SP: The effect of the gene is to delay the acquisition of language, to make speech more labour-intensive, and in children easier than in adults. It causes one to make grammatical errors in speech and have difficulties in judgment about the grammaticality of sentences, and some difficulties in comprehending complex sentences. It also has some effect in the control of speech muscles, but also when blowing out a candle or sucking on a straw. So, it has a number of effects, as most genes do, but the most dramatic effects are concentrated on speech and language. It ties to the theory in a couple of ways. One is that studies have showed that is a “turn” gene that has gone under modifications in humans compared to the similar gene in chimpanzees and other mammals, and moreover those changes have been the result of natural selection rather than random processes. GZ: Why did language develop? SP: Language allows us to communicate and allows us to negotiate agreements and therefore allows altruism to flourish amongst humans. Biologists tell us that cooperation among non-relatives can only evolve if there are complex promises which produce a beneficial result, and when there is a way to express and accomplish those promises. Language provides such a tool, facilitating social cohesion and organization in humans. Also it’s a way to transfer technology and know-how. You can share experience with your children, you can exchange information with other people in your group, and so it multiplies the benefit of any kind of technological discovery whilst lowering the cost. You can acquire some of the necessary skills from other people by having them explaining to you. So, I ´ve always thought that language evolved in tandem with general intelligence, as the ability to figure out how the world works and apply the technology, social cooperation and language. Each one of them makes the other two that much more valuable. GZ: What systems in the brain “produce” language? SP: Language is a complicated system because it involves a number of components that have to work together. There is the production of language, the control of speech muscles and of course comprehension. So, I think the language system in the brain has to tie together a number of different systems. Most of my research for the last 15 years has contrasted regular morphology, that is for forms like cat-cats, dog-dogs or past tense forms like walk-walked and wait-waited, which are completely predictable and I argue they are generated in the mind by a mental algorithm. In contrast, irregular forms like bring-brought in the past tense or foot-feet for the plural, are idiosyncratic and have to be retrieved from memory. Now these are the principal systems of language, for expressing combinations of concepts and words and for communicating familiar simple concepts. And they are likely to have a correspondence of systems of the brain that sub serve a more general purposes. For example, reading memory is related to vision in general and the algorithm for combining bits of symbols into complex words, or words into phrases. Sentences probably relate to systems for planning and coordination. GZ: Most research on language and the brain is done on western languages and mostly English. Would you expect differences in results for, say, the Chinese? SP: I would not expect dramatic differences. I ´ve done some research on a language very close to English, German, which is interesting because they diverged about 600 years ago. By looking the similarities and differences between German and English we construct some of the steps that led languages to become different. But then I ´ve also done some research on a language that’s very much unlike English, Hebrew, which is not an Indo-European language, and we found that more or less the same patterns occurred in terms of the logic of the language. Other people have looked at patterns of language loss because of brain damage in Italian. I don’t think that anyone has done it for Chinese yet but I expect it to come out quite similarly. GZ: How do we acquire language? SP: My first research work was a detailed theory of how children acquire language. Well, it’s not enough for children to just to listen to the sounds. I think the child has to first of all make a guess to what the parents are intending to say. They do so by means of intuitive psychology. The child correlates the sound signal from ears with the guess of what the parent is saying. It tries to figure out rules that correlate to the meaning encapsulated in the sound. The child has a brain circuitry that tries to analyze the continuous speech sound into words, words into categories like nouns and verbs, and that creates rules that order nouns and verbs and subjective objects in a way that systematically relates to what they mean. GZ: Some people suggest that certain animals have a kind of language. Do you agree? SP: I don’t think that anyone can successfully argue that animals can have the ability of language. They are neurologically very different than humans. GZ: What about the songs of the whales or the clicks of dolphins? They seem to suggest some kind of communication through sounds. SP: Yes, it is certainly communication by sound but not language. Take birds, as another example. There is no way that a particular set of bird sounds maps on to a particular meaning. They rather seem to be calls that show off the virtuosity of the singer, used mostly during sexual selection. But they have no meaning. GZ: What is the future of language in today’s world where English gains dominance over other languages? SP: I am afraid the situation is very poor. We’re seeing the extinction of languages spoken by indigenous groups in Russia, in Australia and in U.S. In South America languages are becoming extinct at a faster rate than species do. Larger languages, of hundreds of thousands, or millions of speakers, have nothing to fear. English will become increasingly a second language but it’s hard to make predictions because there are two forces working to different directions. On one hand there is the value of having a common language for international activities, science, business and English has become the language of science. On the other hand there’s simply large numbers of people who speak to each other in a language different than English. On top of all that there’s the fact that language is a bastion of ethnic identity and people are emotionally attached to their national language. So even as global media like MTV and CNN spread English there’s also an attempt for local versions of MTV in the local language. Which of these two trends will be more powerful it’s hard to predict.